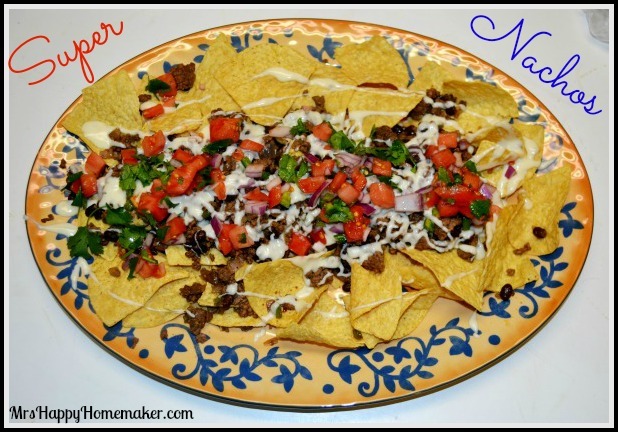 The Mrs’s Super Nachos – or as my family calls them… ‘The Best Nachos EVER’. 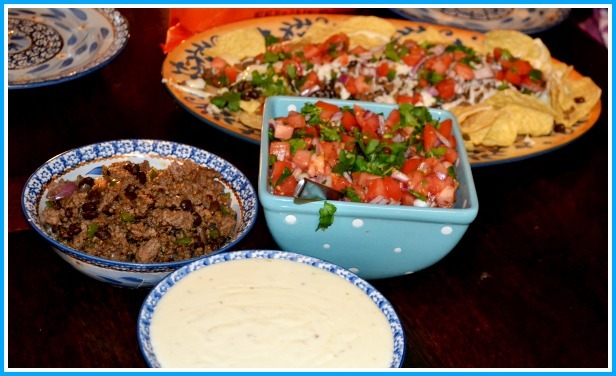 Beef & black bean filling with pico de gallo & a super easy homemade cheese sauce….. so divine! You’ll be super surprised by how easy these are & you’ll never want ‘standard’ nachos ever again. Dig in! 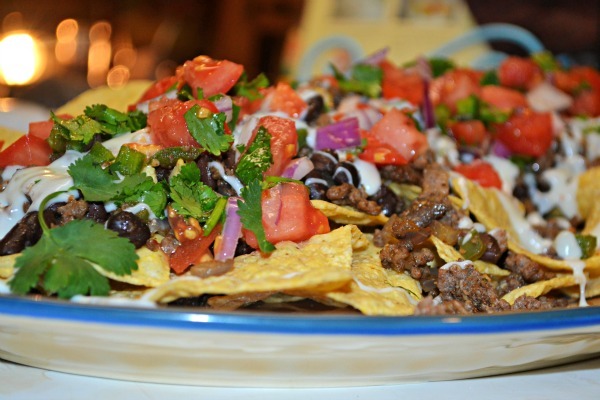 My nachos are something both my husband & my children requests on a frequent basis. It’s not like I can blame them though – they are good! 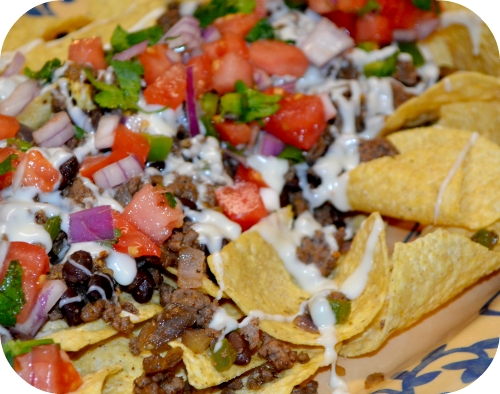 When you think ‘nachos’ – this is what you should be thinking of. 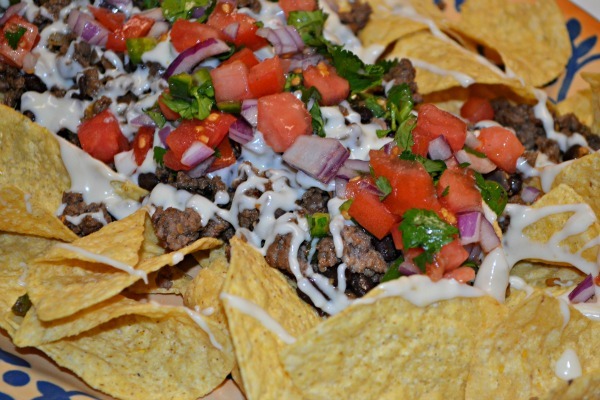 Perfectly seasoned ground beef & black beans, thick & creamy pepper-jack cheese sauce, & some freshly made pico de gallo. Oh yes, baby. This is nacho takeout version. Get it? Na-cho. Not yo? Ok, ok… Ya’ll know how I like cheesy lines. 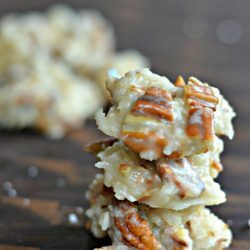 I told my husband I was going to share this recipe with ya’ll. Like 3 weeks before I actually made it. Yeah – that was a bad idea…. all I heard for 3 weeks is, ‘So, when are you gonna make your super nachos?’ In retrospect, I should have just held off on telling him until it was actually on the table. Not only did he whine continually ask about when I was going to make them, but he also hung around in the kitchen like a dog begging for the scraps. Shh, don’t tell Mr. HH that I compared him to a begging dog. I had to literally swat his hand away from everything! Especially during the point of time where I was trying to photograph this dish for ya’ll – I guess I should give thanks that I was able to get any pictures at all before he started swarming! 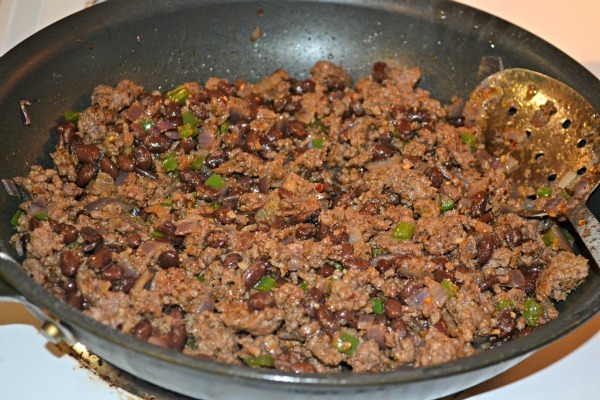 Let’s start with the beef & bean topping. Brown up a pound of ground chuck along with 1 large onion, seeded & diced jalapeno, & a couple cloves of minced garlic on medium-high heat. I really like to use red onions, but using another kind isn’t a biggie. Season the meat while cooking with 3 tablespoons of taco seasoning. You can also use equal parts of ground cumin & chili powder. 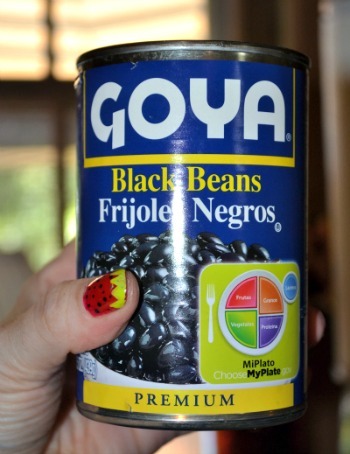 Grab a can of black beans (Goya is my favorite) and rinse them in a colander. 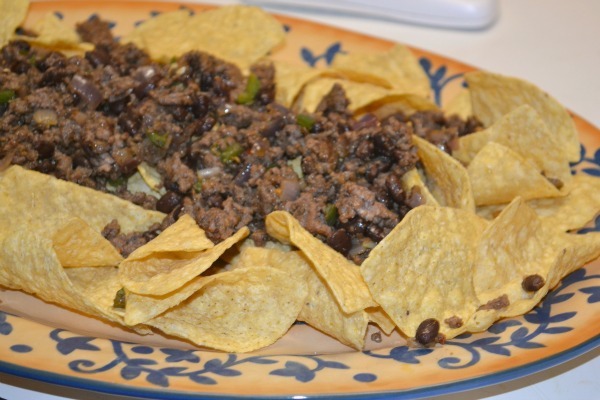 I really love the texture that the canned black beans have – firm yet tender… and very fresh flavor. And that fresh flavor goes perfectly with all the other fresh flavors in this dish. Stir them into the cooked beef mixture, and turn the heat to low. While the beans are heating, let’s get the cheese sauce ready. This is the BEST cheese sauce ever. 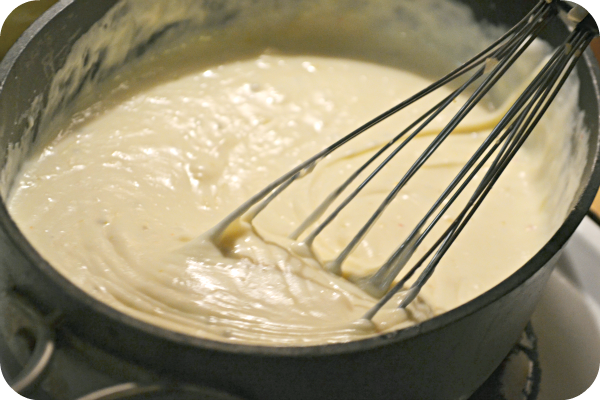 I really need to make a whole new post on this cheese sauce because it’s beyond amazing. I almost want to drink it. Almost. Melt 2 tablespoons of butter in a large saucepan on medium. Whisk in 2 tablespoons of all-purpose flour. Cook the flour/butter mixture for 1 minute, & then whisk in 2 cups of milk. When the milk begins to bubble, stir in 2 cups of shredded pepperjack (or Mont. Jack) cheese. Whisk to combine. Remove the cheese from the heat. Spread out half a bag (or more) of tortilla chips on a large platter. Top with the beef & bean mixture. Top with the Pepper Jack cheese sauce & pico de gallo. You don’t have to plate at all. You can just serve the ingredients in separate bowls and let everyone dress up their own nachos. We actually use that method more times than not. And, if you have any leftovers – let me give you a little tip. 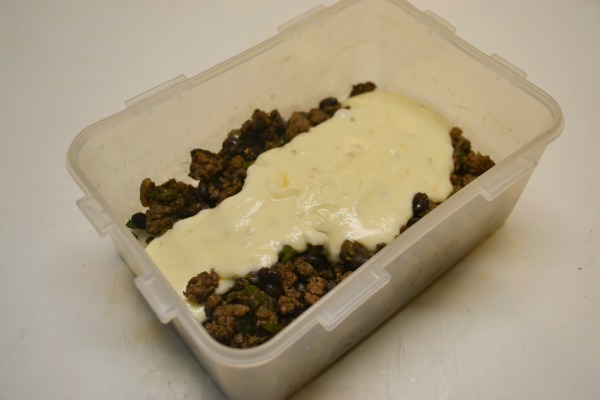 Place the beef/bean topping in your storage container, and then top it with the cheese – like pictured below. When you want to reheat your leftovers, stir it together just a little & microwave to warm. It’s awesome. Prepare the pico de gallo. Refrigerate until ready to use. 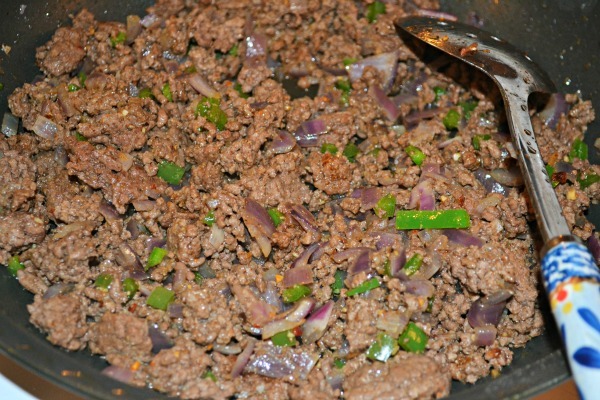 On medium heat in a large skillet, brown the ground chuck, diced onion, jalapenos & garlic. Cook for 5 minutes, then stir in the taco seasoning. Continue cooking until beef is done & onions are soft. Turn the heat down to low; stir in the rinsed black beans. In a large saucepan, melt the butter. Whisk in the all purpose flour. Cook for 1 minute. Whisk in the milk. Cook, stirring occasionally, until the milk bubbles. 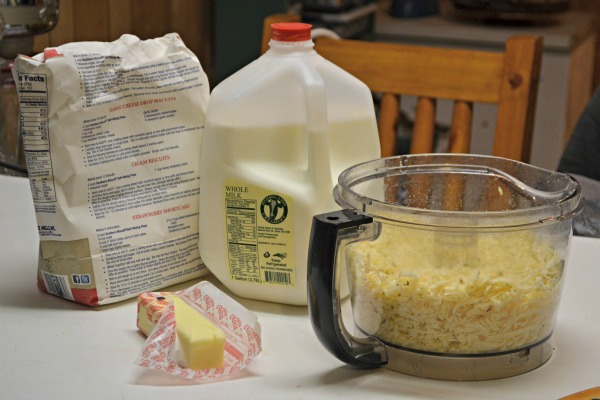 Once the milk is bubbling, stir in the shredded cheese until all combined - and sauce is thick & creamy. Remove from heat. Spread out half a bag of tortilla chips on a large platter. Top with beef/beans topping, cheese sauce, & pico de gallo. 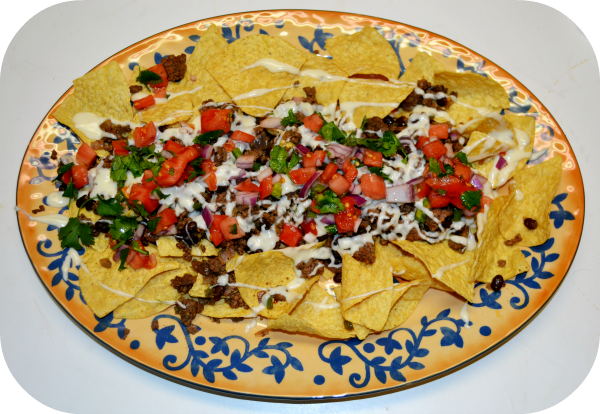 Or - serve all ingredients in separate bowls & let everyone customize their own nacho plate. I’m going to have to try this one for sure. I can’t wait until I can get local tomatoes so I can make a decent salsa for a change.I love your nails AND that cute spoon! Monterey Jack Cheese and when it melted, it separated into a watery mess. I know I would love these so I’ll try it again with a different brand of cheese!! Thanks for the great recipe!! 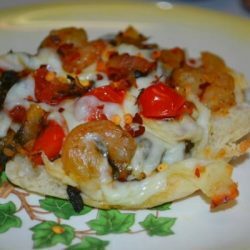 Pingback: Queso Casserole - Great Way to Use up Leftovers!